Things keep getting worse for Michigan as this season advances, but for some, a sliver lining exists in the form of Brady Hoke getting closer to losing his job. Not just for failing to deliver results, but for the way he handled the Shane Morris probable concussion situation. Eventually means pretty soon, which means by the end of this season, or even in the middle of it. There are just too many negative forces pulling towards the same direction and accelerating their speed with every day, every embarrassing comment, reaction and result. Maybe athletic director Dave Brandon gets away with it and remains at his job, unscathed from the mounting pressure to resign himself, but he won’t do it before he gets rid of Hoke as well. Michigan hitting more low points by losing to Utah and Minnesota; the Shane Morris debacle, with different versions between the head coach and the athletic director and the whole ticket sales thing make too many bad things happening at once. This isn’t coincidence. Michigan have been struggling as a football program for a very long time, and the 2011 season helped hide everything wrong on many different levels. This goes higher and deeper than just the head coach, but Hoke hasn’t been able to make anything better. So did Shane Morris have a concussion or not? 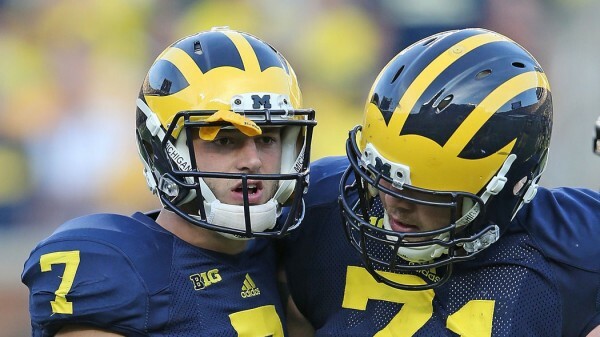 According to Hoke, it was just an ankle problem, and anyway, the medical staff cleared him to play. Hoke probably forgot that the final decisions is his. In any case, he admits he didn’t see the big hit on Morris that made him lean on a teammate to even stand up when it happened, looking somewhere else on the field. But Brandon, who is a businessman, not a sports persona, gave a different version of what happened. From the way Brandon says it, Morris had a concussion but was back on the field before he was inspected by the team physician. More, according to the AD, was that the team neurologist noticed signs of a concussion and started making his way towards the sidelines. According to Brandon, this is something Michigan failed to do well, crashing when it comes to communications and delivering the right kind of protocol in order to avoid putting a student-athlete in danger. But accountability? Not from Hoke, as Brandon said this is an opportunity to learn and improve by implementing and cementing the right policies. Brandon isn’t at fault that Hoke wasn’t paying attention to whether his quarterback was on the verge of being knocked out or not. The Michigan fans, including the students, have other issues with him, and have called for him to be fired. But that’s another matter. 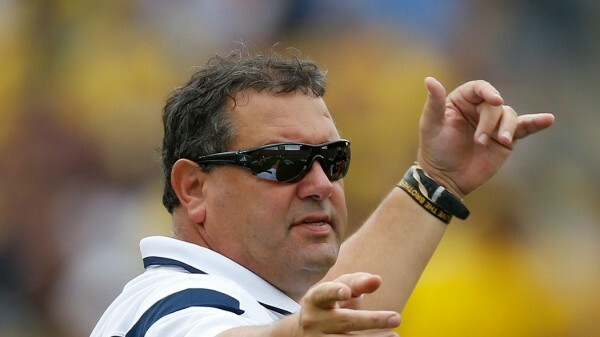 And it’ll probably happen after, not before, Hoke is no longer working for the University of Michigan.